Do I Need Hormone Replacement Therapy And Why? People may ask, “Do I need hormone therapy?” The answer can only be given by the individual person based upon his or her symptoms, what he or she knows about hormone replacement therapy (HRT) and how he or she feels about the process. A doctor will decide whether or not a person is qualified to get a prescription for HRT, but whether or not he or she will actually participate in the process will be an individual and personal choice. Here are five of the most telling questions that one can ask him or herself regarding, why do I need hormone replacement therapy? Am I feeling lethargic, weak, depressed, anxious, moody or irritable more often than not? Do I have trouble with sleeping, feel tired all the time and have I lost my zest for life? 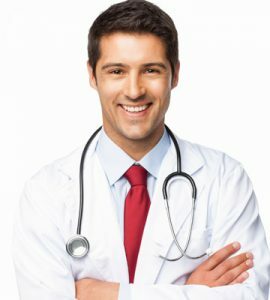 Have I lost my sexual desire, my sexual libido, my ability to get or maintain an erection or do I suffer with vaginal dryness, hot flashes and/or night sweats? Am I having aches and pains throughout my body that keep me from participating in the activities that make me happy? Is my loss of concentration, focus, memory and mental fogginess keeping me from being productive at work and do I have difficulty keeping up with my social and personal relationships? If you answered yes to the above five questions, there is a great possibility that the ailments are being caused by a hormone deficiency. The only way to find out is by getting your blood tested. Asking oneself, why do I need HRT is a tricky question. No one “needs” HRT, but it is a clinically proven, non-traditional way of decreasing or fully wiping away the symptoms of a hormonal deficiency. It does not contain chemically filled pills, but involves bio-identical intramuscular injections (or a cream or gel for women) or subcutaneous injections (depending on which hormone is depleting) that are medically monitored for safety. HRT can give a person their life back that has lost its quality due to all the problems that go along with depleting hormones within the body. Why do we need hormone replacement therapy? We need HRT to help us rid of symptoms that do not have to be part of our lives. When the ailments we are experiencing are due to a hormone depletion, HRT can be the perfect way to safely and quickly raise hormone levels and balance them out for optimal health and a great quality of life. Research has proven that HRT can help elongate life by keeping disease away. Below are two lists of what a person can expect from HRT. It is important to keep in mind that all the possible benefits and side effects are not necessarily going to occur for all people. Everyone is individual and the pros and cons of any kind of treatment will vary. Below are the possible risks of this kind of treatment if a person does not follow his or her prescription, has an allergic reaction to a medication or uses non-prescribed medicine or injections from overseas or from the online black market. Medical supervision is always required with HRT to avoid negative side effects or to correct them quickly if they do occur. Once again, this is a comprehensive list of the side effects that can occur if hormone injections are not used properly, a dosage is off or if a patient has an allergic reaction to the medication. If negative side effects occur, a client is advised to immediately call his or her clinical advisor who is always available for their clients either by phone or email. Never allow a negative side effect to go unattended. It could become worse and lead to more serious issues. 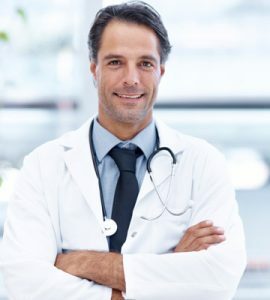 If you feel that you may have a hormone deficiency and want to learn more about why do I need hormone replacement therapy, fill out our online CONTACT FORM. You can also call us toll free for a complimentary consultation to learn more about HRT and our program.